From an executive producer of Bangkok Dangerous (Thailand, 1999) comes a deadly new game, Fireball. Tai is discharged from jail and returns home, only to find his brother in a coma. 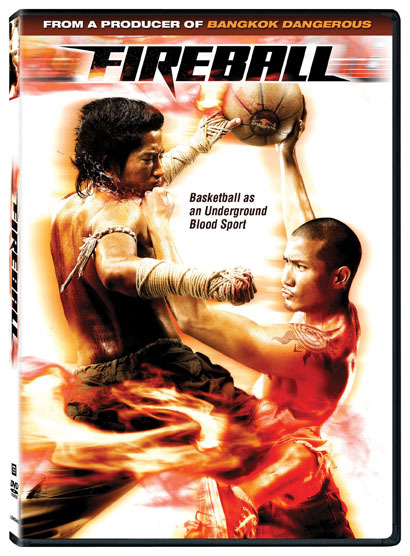 Determined to find the truth, Tai assumes his brother Tan’s identity, which ultimately leads him to an underground ultra-violent game based on Muay Thai and Basketball principles, but hosted by criminal drug lords. On a mission to find the man that hospitalized his brother, Tai risks his life to avenge him on the only court where murder is legal. No rules, no mercy, and only the strongest will survive.